HOURS Box Office opens one hour prior to each performance. Full-price tickets range from $36 – $58. All ticket sales are final. There are no refunds. Performance dates, times, and artists are subject to change without notice. All ticket purchases made will incur a ticketing fee of $4.00 per ticket. This applies to all online and telephone ticket sales. There are three options to purchase tickets to our shows. We recommend that patrons purchase tickets online. IN PERSON: The Keegan Theatre Box Office opens on the day of the show one hour prior to the performance. Groups of 10 or more receive $10 off per ticket. For more group sales information, and to reserve your group’s tickets, please contact our box office at boxoffice@keegantheatre.com or 202-265-3767 x2. Theatre seating begins 15-20 minutes prior to the performance. When a performance is sold out, we will maintain a wait list for tickets. Please contact our Box Office to have your name placed on the wait list. For reasons of safety and courtesy to the other audience members, patrons arriving after the show has begun will be seated at intermission. If a show has no intermissions, patrons will not be admitted to their seats. House opens approximately 20 minutes prior to the performance. We strongly recommend getting to the theatre at least 20 minutes before your scheduled performance time allowing ample time for transportation delays or to locate parking. Street parking is very limited. There are no refunds or exchanges for late arrivals. Please email boxoffice@keegantheatre.com at least 48 hours prior to the performance to exchange your tickets for another available date. Although we will do our best to accommodate your desired performance date and seat location, we cannot guarantee seats if a performance is sold out. 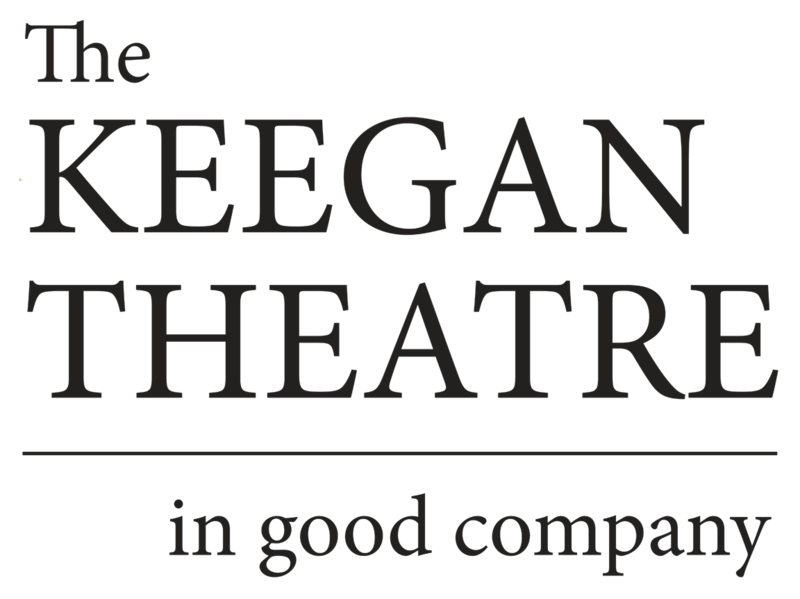 The use of cameras, recording devices, and cellular phones during performances is prohibited and may, at The Keegan Theatre’s discretion, result in ejection from the theatre without a refund. The Keegan Theatre strives to provide excellent service to all of our guests, including those patrons with disabilities and special needs. The recently renovated Keegan Theatre is an ADA-compliant facility, however accessible seating for patrons requiring the use of a wheelchair and guests with limited mobility is limited. Wheelchair and companion seats are available as indicated on our seating chart. They are available for purchase online and through our Box Office. Wheelchair locations are for a non-transferable wheelchair patron – a guest who will remain in their own wheelchair. There will be an empty space for the wheelchair patron and a designated companion seat for his/her guest. If a patron arrives with these tickets and they are not using their own wheelchair, the guests will be subject to ejection from the theatre without refund. A limited number of assisted listening devices are available for hearing impaired guests. You can request these, in advance, with our Box Office. You will be required to leave a valid identification as a deposit. There is no charge for this service. Although animals are not permitted in the theatre, an exception is made for guide dogs and service animals. If you are attending a performance with a service animal, please contact our Box Office when purchasing your tickets so that we can discuss your preferred seating location. If seats are available, we are happy to arrange seating to aid any of our patrons who have special hearing or sight needs. For special seating requests, please contact our Box Office. Children under the age of 5 will not be admitted to evening performances at Keegan. All patrons, including children, must have a ticket in order to be admitted. House management may ask patrons (including children and their parents) who create a disturbance to leave the theatre. There are no refunds or exchanges for patrons who are asked to leave the theatre. In the event of inclement weather and a performance is cancelled, Keegan Theatre will contact patrons via email and telephone. We encourage you to check our website for any cancellation information. Save over 25% on Tickets — Become a Subscriber! Simply start selecting ADULT category tickets for your preferred shows and performances! Review your selections in your cart, and applicable package discounts will be applied and ticketing fees removed in the checkout area. Find metro and driving directions to get to Keegan with ease. Driving to Dupont? Check out info for the nearest parking garage.